Keeping your pool free of debris is a must for creating an inviting swimming environment, which is why you need a swimming pool cleaner in Melbourne. Depending on the equipment you have selected, it will effectively clean the floor and walls of your shell (and sometimes steps and seats as well). 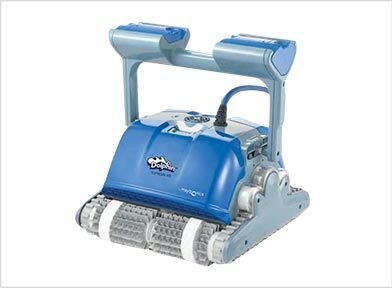 This robotic pool cleaner is recommended for pools up to 15m in length. It will brush, scrub, vacuum and filter the entire shell (including the floor, walls and waterline). The swivel on the cable prevents tangling, whilst the one way water valve prevents debris from escaping – cleaning is easier than ever!